It’s almost time for the kids to go back to school and you know what that means…shopping! 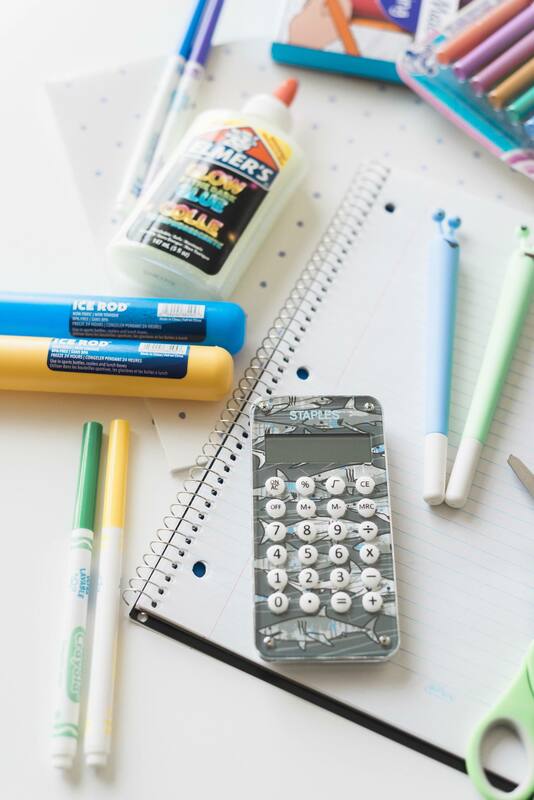 I consider myself a bit of a pro when it comes to shopping for school supplies so I thought I’d compile a list of our favourite back to school necessities for you! 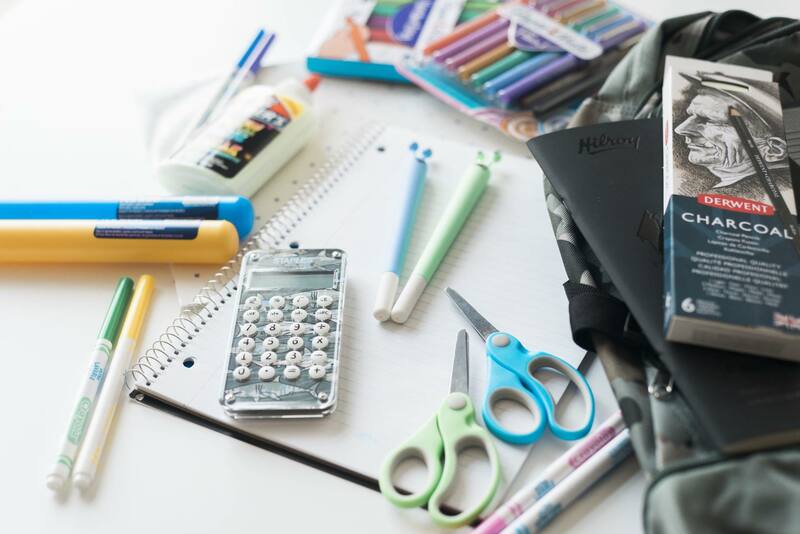 We like to shop for our back to school essentials at Staples because they have all of the items our kids need to set them up for a successful school year! They also make shopping easy because you can go in-store, online, buy online and pick up in store or shop through their mobile app. There are so many options and if your summer is jam packed like ours it’s great to have the ability to shop on the go without the stress and hassle of running around. I’ll also note…they have some AMAZING back to school sales and deals right now so *start the car*. 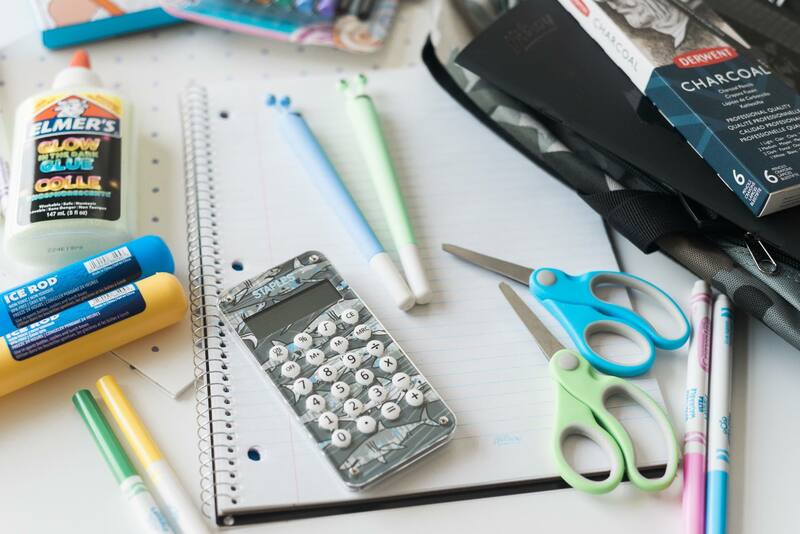 Staples also has an online Back-to-School Centre to help you! Just head HERE to have a look. 1. 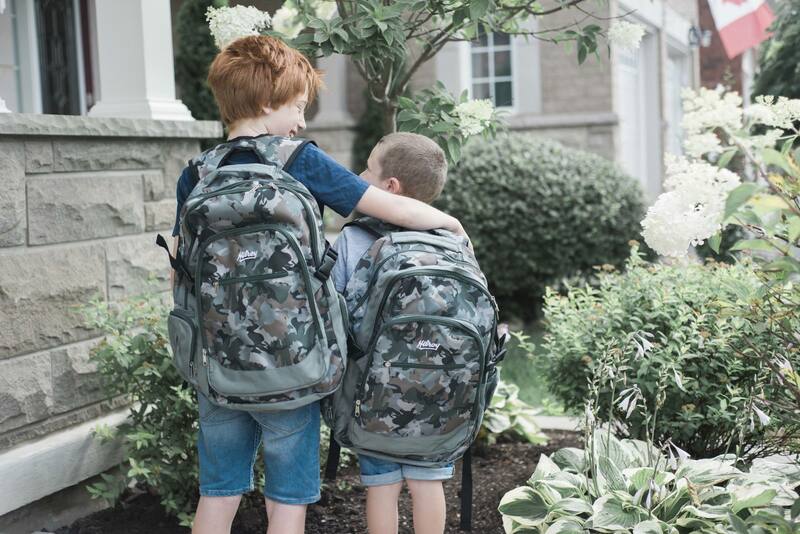 Backpack – We let the boys pick out their backpacks this year (they were due for some new ones). I love the options at Staples! They’re all so stylish and reasonably priced. 2. 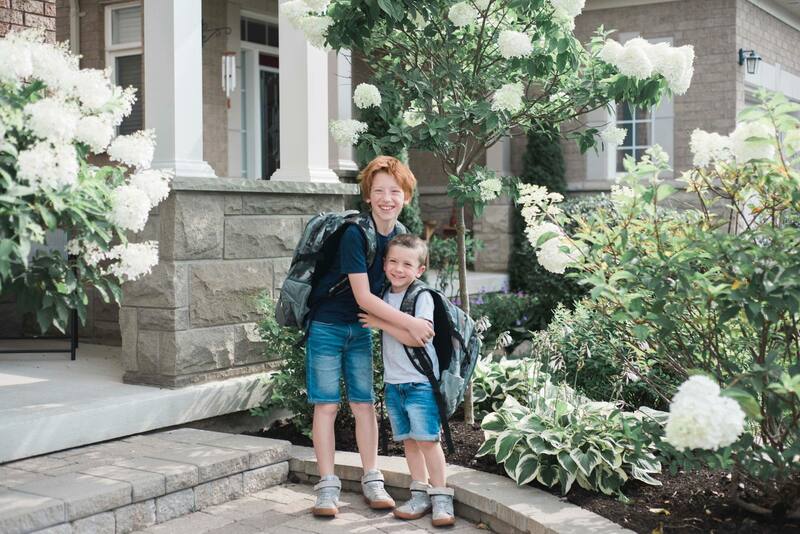 Lunch box – The boys picked out the matching lunch boxes to their backpacks BUT I will say, I personally prefer the lunch boxes with drink holders that Staples carries instead. 3. Washable Markers – Key word to remember: washable…because you know there will be doodling on jeans at some point in the year. 4. Pencil Crayons – This is the pack we pick up every year from staples, they’re always on for a great price! 5. 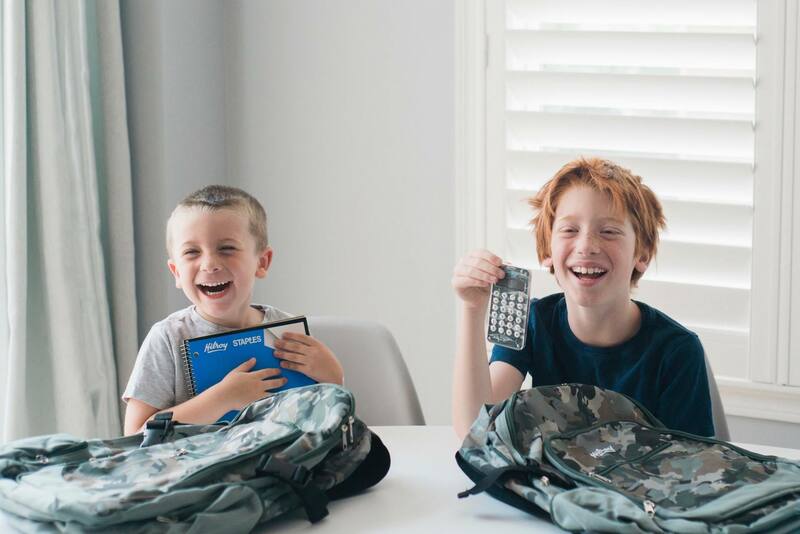 Pencil Case – I picked these ones up for the boys, they’re pretty firm but can also bend so they can work around other items in their backpack. 6. Calculator – Where were these cool designs when we were kids? I think I would have paid attention more with supplies like this haha! 7. Pens – I like to keep it fun and get the kids silly pens like these. They’re less likely to loose them. This year the boys picked monsters ones! 8. Erasers – The Staples brand white erasers work like a charm! 9. Glue – WASHABLE glue sticks. Need I say more? I pick up the multi pack because the kids blow through these at school. 10. Scissors – Perfect for school aged kids and they come in a plethora of fun colours. 11. Notebooks – We can never have too many of these for school work and right now they are on MAJOR sale, such a great deal! 12. Folders – A must for keeping organized! I like these ones because they can snap into their binders and come in fun colours. 13. Agenda – I noticed the kids didn’t get agendas at school this past year. I find them really helpful so I picked these ones up for them. 14. Pencil Sharpener – These ones have aliens on them so you know the kids will love them. 15. Hand Sanitizer – Ok, I can’t be the only mom that sends their kids to school with this! With all the germs floating around and kids constantly getting sick it’s a must on our list this year. I have partnered with YMC and Staples and have received compensation for this post. All opinions are my own.